legal action if they pass a bylaw that could interfere with construction of a $296-million transformer station. By Don Crosby, The Sun Times taking West Grey back to court to secure entrance permits for properties in the East Durham Wind energy project … The project near Priceville was approved on Jan. 20… latest notice of motion, filed Sept. 24, asks the Divisional Court to enforce its own ruling of Aug. 14. 05/11/2014 | www.independent.on.ca ~~ A Lucknow farmer has received what he calls a threatening letter from legal counsel for K2 Wind, advising him that he must stop spreading manure on his fields or face a lawsuit. 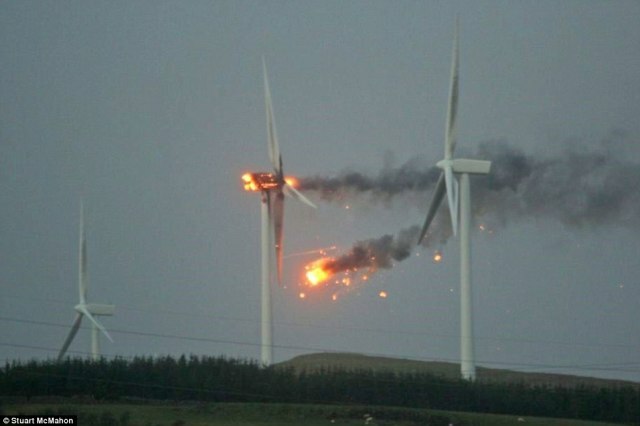 Burning debris and big chunks of ice aren’t the only things that are flying because of wind turbines. Lawsuits are flying as well.